South Korea, officially the Republic of Korea (ROK), has maintained a bilateral security alliance with the United States since the Korean War (1950-1953). The ROK abandoned its nuclear weapons efforts in the 1970s, and is engaging in diplomatic efforts with North Korea and the United States to attempt to denuclearize the Korean peninsula. 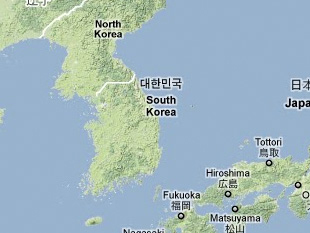 South Korea is a party to all major nonproliferation treaties and regimes, possesses ballistic and cruise missiles, and cooperates with the United States on missile defense. Ha Yeong-seon, 한반도의 핵무기와 세계질서 [Nuclear Weapons on the Korean Peninsula and World Order] (Seoul: Nanam, 1991). Larry A. Niksch, “U.S. Troop Withdrawal from South Korea: Past Shortcomings and Future Prospects,” Asian Survey 21 No. 3 (March 1981) pp. 325-34; Michael J. Siler, “U.S. Nuclear Nonproliferation Policy in The Northeast Asian Region During the Cold War: The South Korean Case,” East Asia 16, No. 3-4 (September 1998), pp 41-86; Etel Solingen, Nuclear Logics: Contrasting Paths in East Asia and the Middle East, (Princeton: The Princeton University Press, 2009) pp. 64 – 78. Daniel A. Pinkston, "South Korea's Nuclear Experiments," CNS Research Story, 9 November 2004, www.nonproliferation.org. United Nations Office for Disarmament Affairs, "Status of Multilateral Arms Regulation and Disarmament Agreements," www.un.org; "Who are the Current NSG Participants?" Nuclear Suppliers Group, www.nuclearsuppliersgroup.org; "Members," Zangger Committee, 13 January 2010, www.zanggercommittee.org.
 ] Hans Kristensen and Robert S. Norris, “A History of US Nuclear Weapons in South Korea,” Bulletin of the Atomic Scientists 73 No. 6 (October 2017) pp. 349-357; Roh Tae Woo, "President Roh Tae Woo's Declaration of Non-Nuclear Korean Peninsula Peace Initiatives," 8 November 1991, www.fas.org. "Korean Denuclearization Agreement," 20 January 1992, via: www2.law.columbia.edu. B.K. Kim, "Step-by-Step Confidence Building on the Korean Peninsula: Where Do We Start?" Institute for Science and International Security, Building Nuclear Confidence on the Korean Peninsula: Proceedings from the 23-24 July 2001 Workshop, p. 154, www.isis-online.org. "North Korea's Nuclear Tests," BBC, 12 February 2013, www.bbc.com; "Text of the Joint Statement," The New York Times, 19 September 2005, via: www.nytimes.com. Xiaodon Lian, "The Six Party Talks at a Glance," Arms Control Association, May 2012, www.armscontrol.org; Hyun-ju Ock, "No Six Party Talks without Progress: Korean Diplomat," The Korea Times, 16 June 2014, www.koreaherald.com; Mark Landler, “North Korea Says It Will Halt Talks and Restart Its Nuclear Program,” The New York Times, 14 April 2009, nytimes.com. “Full Text of Declaration Issued at Inter-Korean Summit,” Yonhap News, 27 April 2018, english.yonhapnews.co.kr. International Atomic Energy Agency, "Korea, Republic of," Power Reactor Information System Database, July 2017, http://pris.iaea.org. Jane Chung, “South Korea to resume building two new nuclear reactors, but scraps plans for 6 others,” Reuters, 24 October 2017, www.reuters.com. United Nations Office for Disarmament Affairs, "Status of Multilateral Arms Regulation and Disarmament Agreements," www.un.org; "Australia Group Participants," www.australiagroup.net. Bureau of Arms Control, Verification, and Compliance, “2018 Report on Adherence and Compliance with Arms Control, Nonproliferation, and Disarmament Agreements and Commitments,” U.S. Department of State, April 2018, state.gov. Republic of Korea Ministry of National Defense, "2006 Defense White Paper," May 2007, p. 26, www.mnd.go.kr; Republic of Korea Ministry of National Defense, "2010 Defense White Paper," December 2010, www.mnd.go.kr; Republic of Korea Ministry of National Defense, "2012 Defense White Paper," December 2012, www.mnd.go.kr; Republic of Korea Ministry of National Defense, “2016 Defense White Paper,” 31 December 2016, www.mnd.go.kr. Organisation for the Prohibition of Chemical Weapons, "Member State - Republic of Korea," www.opcw.org. "Report: Korean Army Built Factory to Destroy Chemical Weapons," Deutsche Presse-Agentur, 9 May 2000. Chris Schneidmiller, "South Korea Completes Chemical Weapons Disposal," Global Security Newswire, 17 October 2008, www.nti.org. Lee Dong-young, "화생방 공격에도 6시간 '안전'… 500파운드 폭탄 터져도 '거뜬'," [6 Hours of Safety Even in the Case of Chemical Attacks… Safe Even with the Explosion of 500-pound Bomb], Dong-A Ilbo, 4 October 2011, http://news.donga.com. "U.S. Chemical Warfare Battalion to Return to Korea," Chosun Ilbo, 8 October 2012, http://english.chosun.com; Jon Rabiroff, "Chemical Weapon Unit Back in South Korea: Timing Coincidental," Stars and Stripes, 4 April 2013, www.stripes.com; Second Infantry Division, “23rd Chemical Battalion,” U.S. Army, 23 February 2018, www.2id.korea.army.mil. Lee Min-jung, "탄도미사일 사거리 연장되나 [Will the Missile Range be Extended for South Korea?]" EDAILY, 13 June 2012, www.edaily.co.kr; Missile Technology Control Regime, "MTCR Partners," www.mtcr.info. Choe Sang-Hun, “U.S. Agrees to Let South Korea Extend Range of Ballistic Missiles,” The New York Times, 7 October 2012, www.nytimes.com. U.S. Executive Office of the President, “Joint Press Release by the United States of America and the Republic of Korea” Press release, U.S. Executive Office, 8 November 2017, www.whitehouse.gov. Tong-hyung Kim, "Naro Rocket Blows Up in Midair," The Korea Times, 10 June 2010, www.koreatimes.co.kr; Jung-yoon Choi and Barbara Demick, "South Korea Launches Satellite into Orbit," The Los Angeles Times, 30 January 2013, www.latimes.com. Ian E. Rinehart, Steven A. Hildreth, and Susan V. Lawrence, “Ballistic Missile Defense in the Asia-Pacific Region: Cooperation And Opposition,” CRS Report 7-5700, Congressional Research Service, 3 April 2015. Michael Elleman, "North Korea Launches Another Large Rocket: Consequences and Options," 38 North, 10 February 2016; Alex Johnson, Stella Kim, Courtney Kube, “U.S. Begins Shipping Controversial Anti-Missile System to South Korea,” NBC News, 7 March 2017, www.nbcnews.com.